Avengers: Disassemble! The epic weekly takeover continues this February when Paco Medina takes the reigns to draw the third month of Marvel’s biggest team adventure, and Marvel is excited to reveal the covers for issues #683 - #686 of AVENGERS: NO SURRENDER by Mark Brooks as well as the first look at February’s interlocking variant covers by Nick Bradshaw! 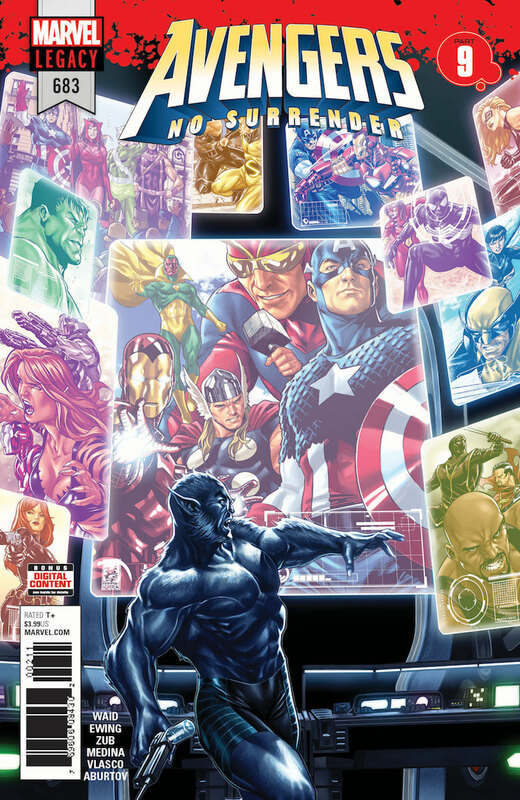 Find Avengers: No Surrender in stores on 1/10! To find a comic shop near you, visit www.comicshoplocator.com or call 1-888-comicbook.